We love to play in water! My kids are always the happiest when we do activities where water is involved. If anyone is feeling grumpy or sad, pulling out a few favorite toys and a tub of water or throwing everyone into the bathtub is sure to change the mood and make things better. 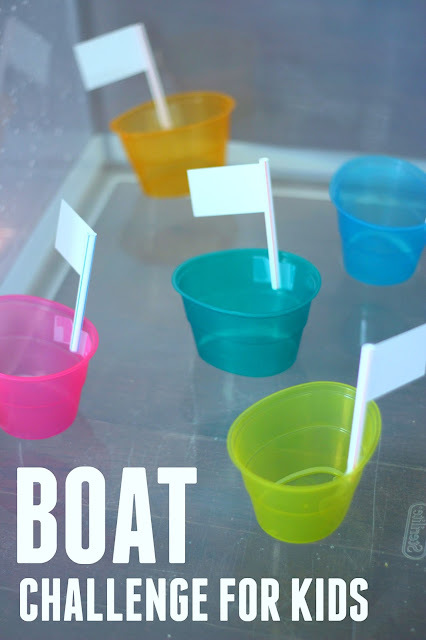 Since it is Boat Week this week, we set up a boat making station and made pool noodle boats and soda bottle boats. We also decided to grab these colorful containers (used for dyeing Easter eggs) and do a simple sink/float/measurement activity! Our sink/float/measurement boat challenge started by gathering just a few items! To get started we taped a piece of straw to each plastic boat. Then we added paper sails to each straw. You could use pieces of foam instead of paper if you'd like. Once all of the boats are put together, fill up your large tub with water and then add the boats into the tub. Our challenge was to see how many plastic cubes we could fit in each boat without sinking them. My son began by adding one block to each boat. Then he slowly added more blocks to each boat one at a time until they started sinking. It was interesting to hypothesize what caused each boat to sink. Have you ever tried an experiment like this? Try this out and see how many blocks you can fit in your boats before they sink! Make a guess (hypothesis) beforehand and then see if you are right after you try it out! Once you're done, grab a straw and have boat races with these boats or just have fun capsizing the boats. 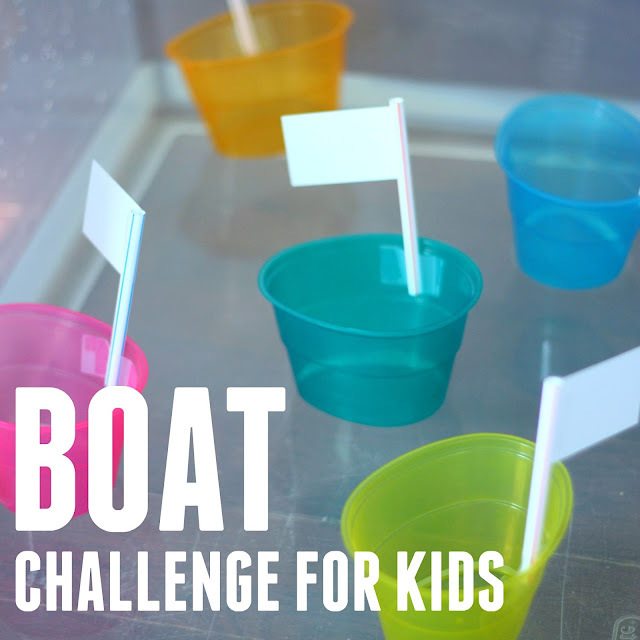 Head on over to our Weekly Virtual Book Club for Kids group to see what other boat week activities are being shared this week! If you have a favorite boat themed book you can share or craft/activity, please tell me about it in the comments!